How would you feel about a blueberry muffin that you could eat to your heart's content and still have enough to share? When you make the recipe that follows, you get just that! Don't be surprised (and don't feel guilty) if you find you want it all for yourself. This dish has the classic taste of a blueberry muffin without having to run out to your favorite breakfast place to get it. 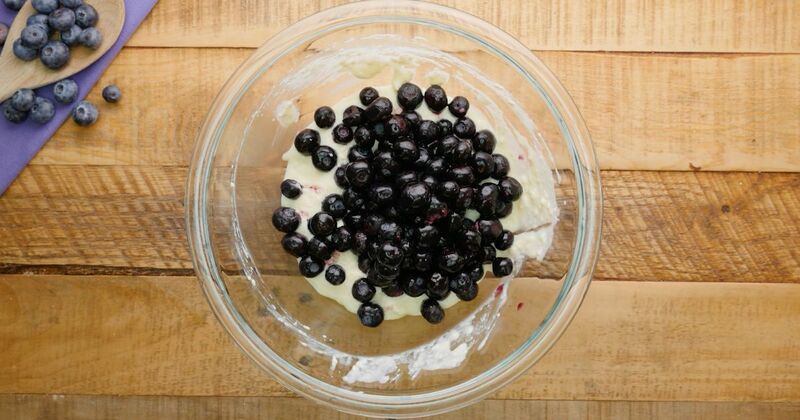 This casserole doesn't just let the blueberries have all the fun. Before baking, it gets covered with a streusel topping that is not only sweet and delicious, but also adds a very nice crunch to the bread pudding texture underneath. This is one breakfast or brunch casserole that will leave you with plenty to go around or just to snack on for days! Combine the eggs, 1 cup of milk, 1/4 cup of sugar, and 1 teaspoon of cinnamon in a large bowl. Add the bread crumbs and stir gently to coat. Pour bread crumbs into prepared casserole dish. Combine the cream cheese, remaining 2 tablespoons of milk, and 2 tablespoons of sugar in a large bowl. Gently stir in 1 cup of the blueberries. 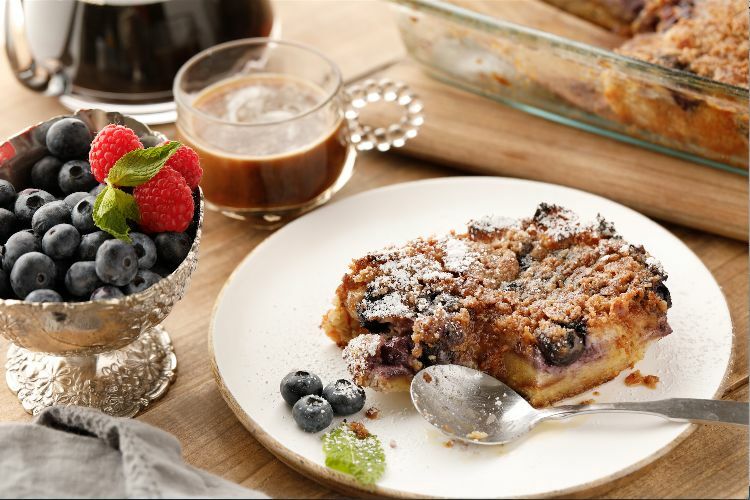 Spread blueberry mixture evenly over the bread crumbs and top with remaining blueberries. Cover the casserole dish with plastic wrap and place in the fridge overnight. In the morning, preheat oven to 350 degrees Fahrenheit and remove casserole from the refrigerator. Let the casserole stand at room temperature for about 30 minutes. While casserole is coming to room temperature, make streusel topping. Combine the brown sugar, flour, and 2 teaspoons of cinnamon well in a bowl. Cut the cold butter into the flour mixture until the mixture looks like small pebbles and all ingredients are fully incorporated. Sprinkle streusel mixture over top of the casserole. Place casserole into the oven and bake for 45 minutes, until casserole is golden and cooked through, and the streusel topping is cooked through and crispy. Remove casserole from oven and let sit for 5 minutes before slicing and serving.